A clearly defined project from the very beginning is the key to project success. An instrument that helps you define your project is the Project Canvas method. Learn more about the Project Canvas in this blog post. A canvas is a visualization method which breaks an abstract idea into its basic components (‘building blocks’). The project canvas derives from the Business Model Canvas developed by Alexander Osterwalder and Yves Pigneur. The Business Model Canvas is used to visualize different business models in a structured way. Project management took Osterwalder and Pigneur’s idea and applied it to projects. The Project Canvas enables you to break your project into its basic elements and then visualize and develop it. The project canvas is an ideal instrument for the project definition stage because of the clear and simple structuring of project elements. 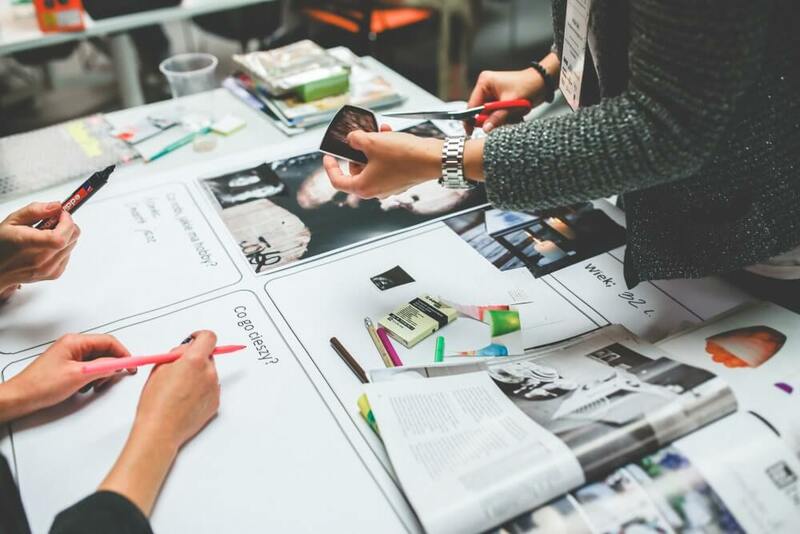 Ideally, the project manager and the project team develop the canvas together as part of a workshop to gain a common understanding of the project. It is particularly important for cross-departmental or intercultural teams to make sure that all team members have a clear understanding of the purpose and goals of the project. There are several approaches and structuring methods for the Project Canvas that vary widely. We will take a closer look at the Project Canvas developed by the “Over the Fence – Projects Newly Discovered” initiative. Over the Fence’s project canvas includes ten so-called ‘building blocks’. There are nine central blocks and two foundation blocks. Purpose: This block describes the reason or catalyst for the project and legitimizes it. 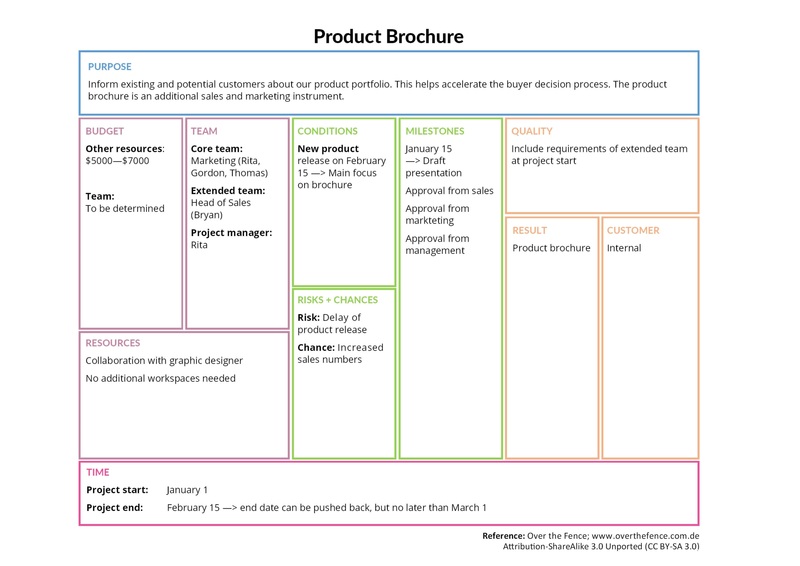 The following project canvas is based on Over the Fence’s template and shows the development of a product brochure with the canvas method. The Project Canvas: Setting the Direction for Your Project's Success - InLoox • Copyright 1999-2019 © InLoox, Inc. All rights reserved.